This international sensation explodes onstage with the look and feel of the Indian Bollywood movies that have been entertaining people around the globe for generations. Taj Express follows the story of one man’s passion and another’s genius, and is packed with action, romance, comedy, and glamour. 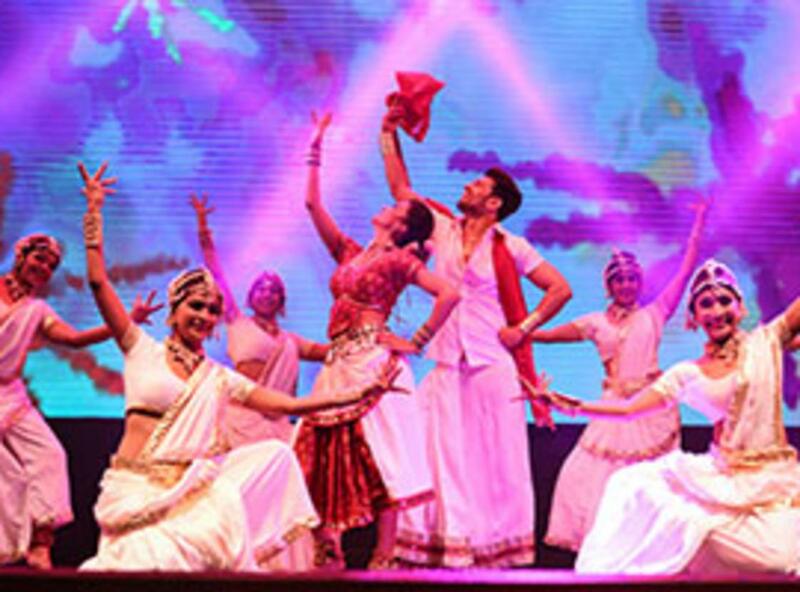 Captivating dance numbers are performed to India’s pop hits, including the songs of Oscar-winning composer A.R. Rahman, along with folk classics. This intoxicating production is the brainchild of acclaimed Bollywood choreographer Vaibhavi Merchant and her sister, director/producer Shruti Merchant. Taj Express is sure to dazzle with vibrant costumes, rollicking music, joyous dance, and Bollywood film excerpts for a soaring adventure like no other. “The dancing goes straight to the heart,” (Sunday Express). “Riotous. Exotic. Graceful” (The Times of India).